Join us for a special house concert with Halie Loren benefiting arts education in Lane County schools. Help us ensure that young people have access to artistic expression and their full creative selves. Take in the view of the Willamette Valley and Cascade Mountain Range, while enjoying live music with internationally-acclaimed singer-songwriter Halie Loren. 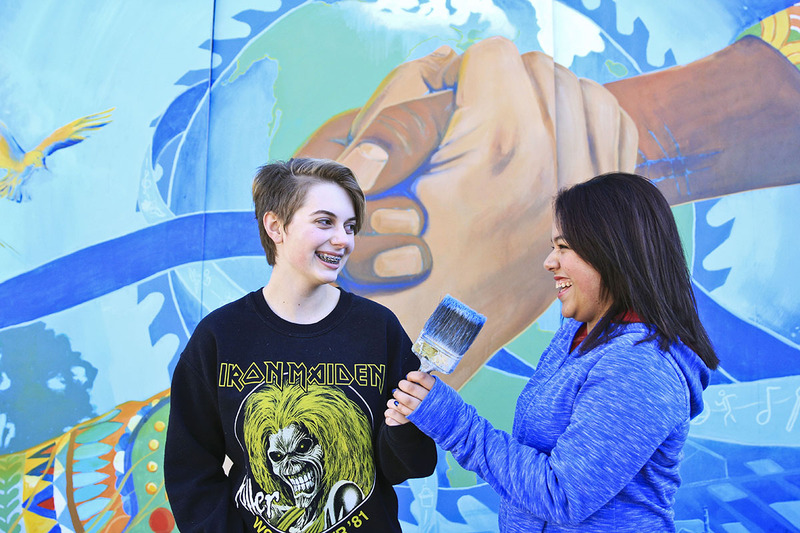 Springfield High School is brighter than ever with the unveiling of a new mural created through Lane Arts Council’s artist residency program. Thank you to AARP Oregon for being such a big part of this special project! The Community Arts Grant is seeking applications for projects that emphasize accessibility, and provide unique programming that takes place in the City of Eugene. 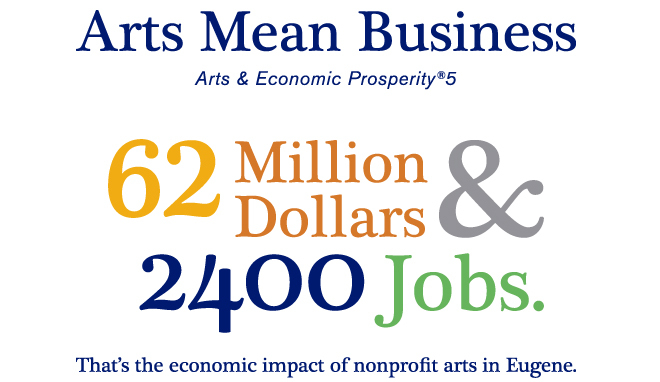 The grant program is funded by the City of Eugene Cultural Services Division and administered by Lane Arts Council. 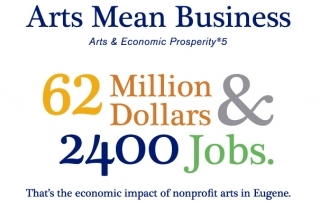 Lane Arts Council is seeking additional visual arts focused teaching artists for our roster. 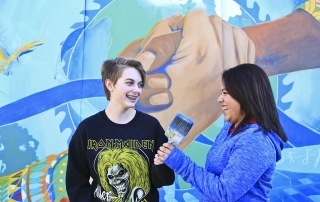 These artists should have strong classroom experience and provide high-quality arts education to Lane County schools. We are looking for artists who can teach ceramics, glass work, wire sculpture, media arts, and mural-making. The nonprofit Mozilla announces $83,000 to support five creative, educational technology projects in the city of Eugene. The Mozilla Gigabit Community Fund provides funding to technologists, educators, and entrepreneurs in Eugene and four other gigabit cities across the U.S. — Austin, TX; Chattanooga, TN; Kansas City; and Lafayette, LA. Read the full story. 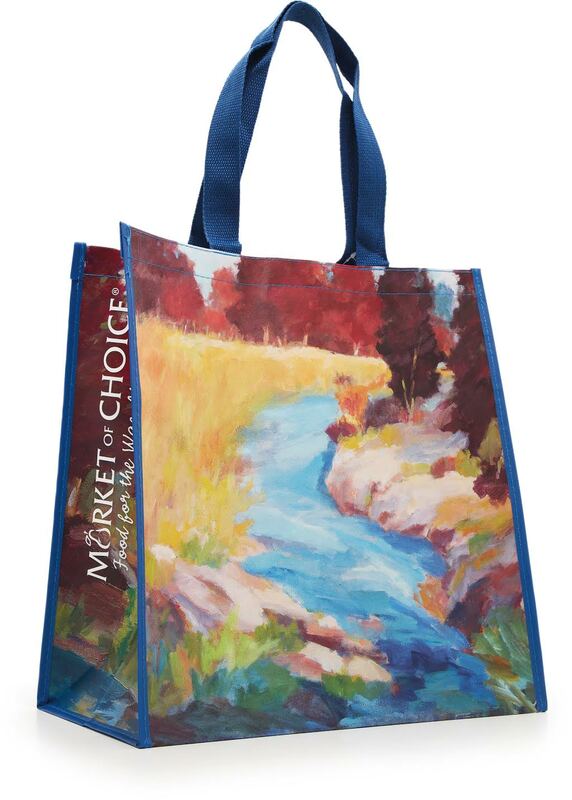 The next time you visit Market of Choice, be sure to look for their Art Bags, which feature the work of commissioned local artists and support programs such as Lane Arts Council’s arts education programs. 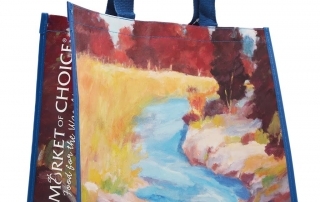 The newest bag in their limited-edition art bag series features artist Abbas Darabi.